Anyone who has ever reached for a flashlight in an emergency knows the frustration that develops when you realize that the batteries inside are dead. No battery life, no light. But this scenario can easily be avoided by storing the batteries in a designated area, outside the flashlight itself. Not only is it better for the batteries to remain in their original packaging until they are ready to be used, it is also better for the flashlight. Over time, batteries that are left inside a flashlight can corrode and destroy the metal contacts, rendering the flashlight unusable. If you do not intend to use your flashlight in the near future, remove the batteries. 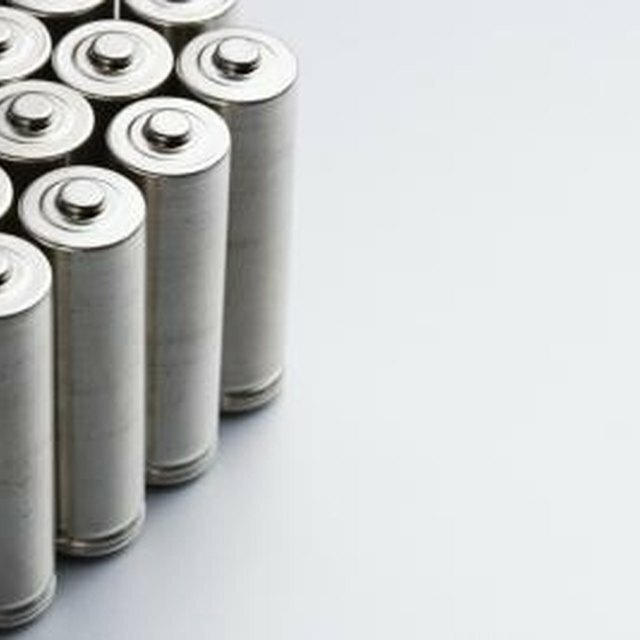 Storing batteries inside any electronic device is never a good idea, because it increases the chances of corrosion. Place the flashlight batteries in a spot where they will be easily accessible in case of emergency. Storing the flashlight in the same cabinet or drawer as the batteries will ensure that both can be found quickly when needed. Use a Ziploc bag to keep your batteries fresh. Just pop them into the baggie and zip; store them next to the flashlight for easy access. This will also ensure that they are not just floating around loose in the drawer. Keep the flashlight batteries in their original packaging whenever possible. Storing them in this manner until they are needed will keep them fresh, and ensure that you have working batteries when you need them. Store your flashlight batteries by themselves, not with a bunch of other loose batteries. A drawer full of batteries—some used, some half used and some questionable—will cause frustration when you reach for your flashlight and the batteries to power it on. Try switching to rechargeable batteries. They are better for the environment, save you money and can be stored in the charger itself. And they will always be ready when you need them. Do not store your flashlight batteries in the refrigerator. Contrary to popular belief, this does not make them last longer. As a matter of fact, cold temperatures have an adverse reaction on batteries and will actually drain them even faster. How Does a Drawer Work?